When a worldwide epidemic suddenly rids the Earth of all humans, what happens to man's best friend? GARTH ENNIS - the master wordsmith of Preacher and Crossed - delivers a story like no other, as a band of canines set out to survive on their own for the first time. This is the story of three best friends at the end of the World. Charlie was a helper dog and he was good at getting his feeders safely around. 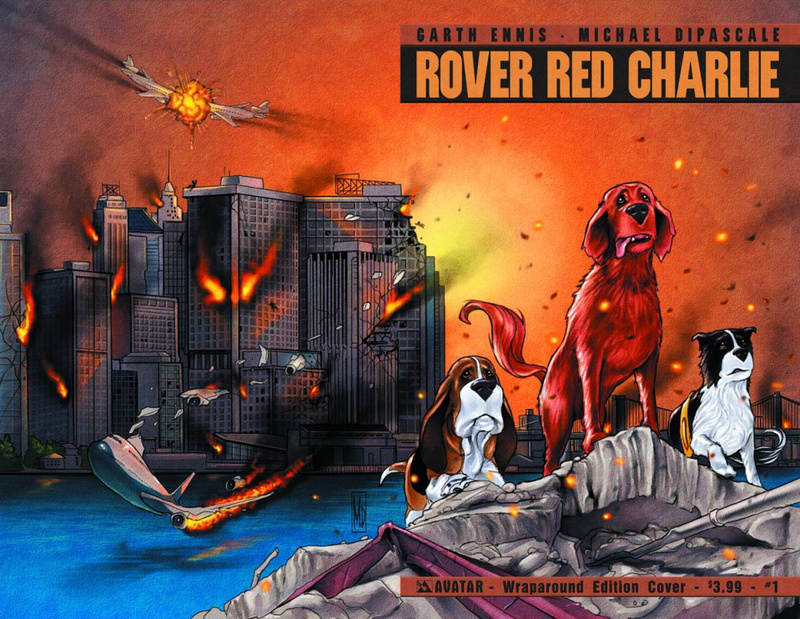 Now he and his pals Rover and Red must escape the failing New York City and find their way in this new order. Ennis applies his incredible talent for creating rich and complex characters to a whole new species, with this shockingly original tale that is fully painted by Michael Dipascale. Available with a Regular, Wraparound, and a Dog Days Order Incentive cover by series artist Michael Dipascale.